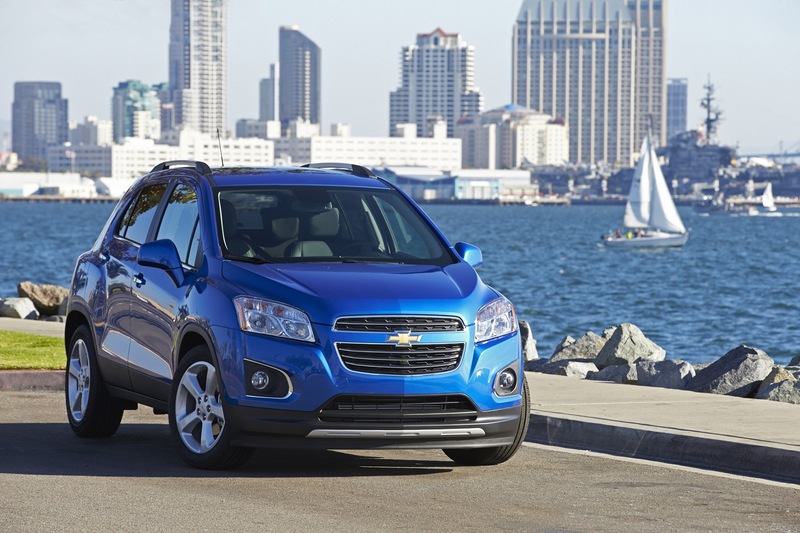 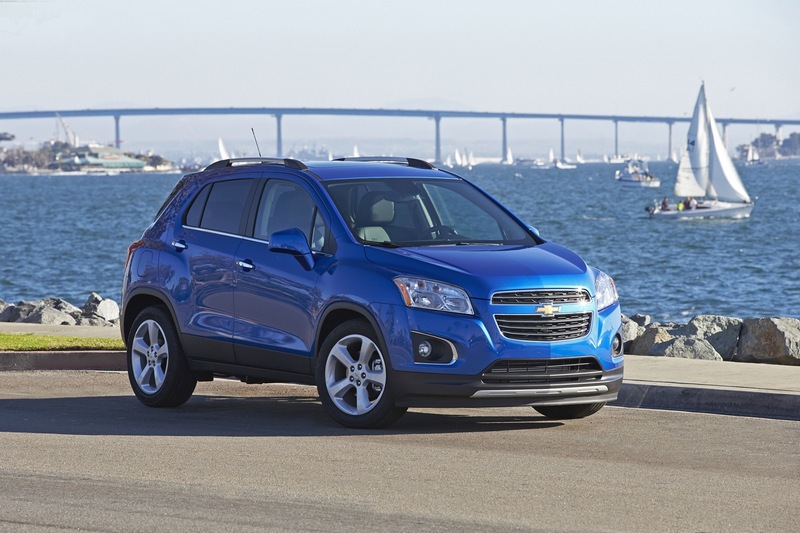 The 2015 Chevrolet Trax remains unchanged for the 2015 model year with the exception of one new LPO accessory. 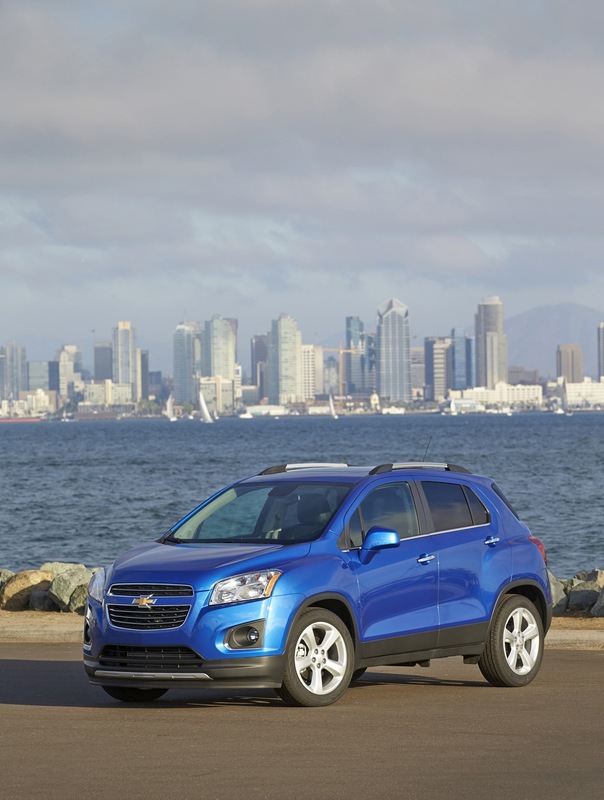 The biggest news about the subcompact crossover, however, is its newfound availability in the United States. 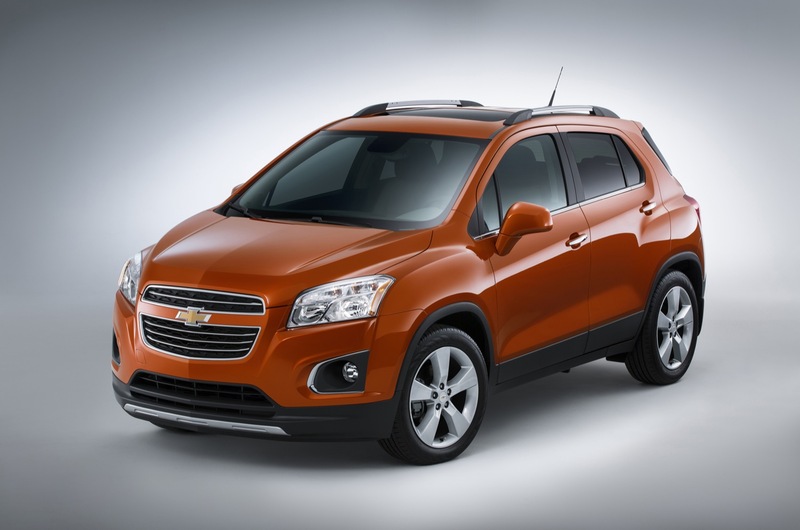 Chevrolet announced plans to add the Trax crossover to its U.S. lineup for the 2015 model year in early calendar year 2015. 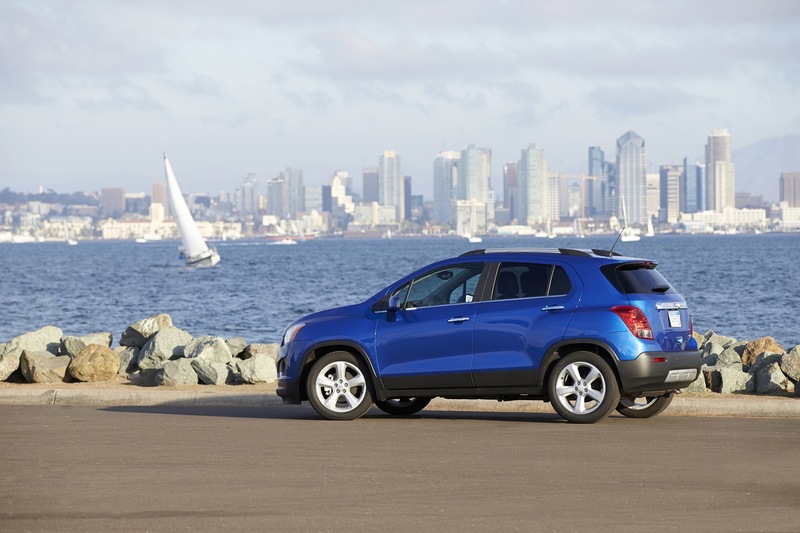 Making the Trax available in the U.S. completes the vehicle’s North American availability, sine the CUV has been on sale in Canada and Mexico. 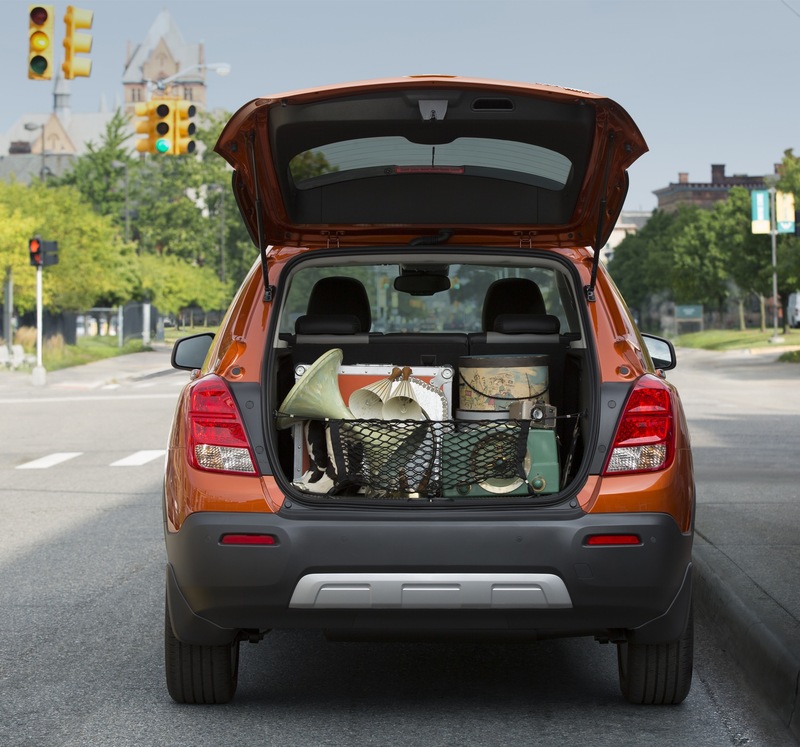 Sporty and modern, the Trax blends small-car agility with the utility of an SUV, including up to 48.4 cubic feet (1,371 liters) of cargo space. 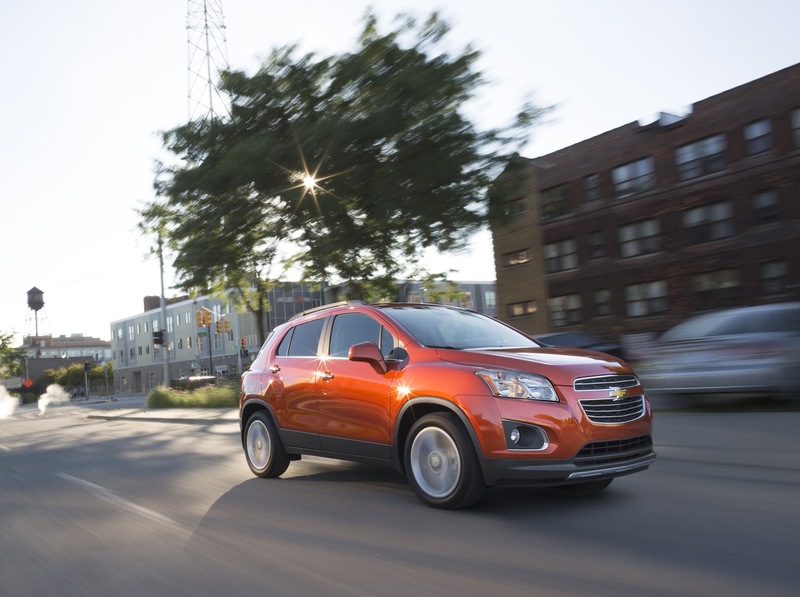 The Trax is Chevrolet’s seventh small vehicle launch in less than four years. 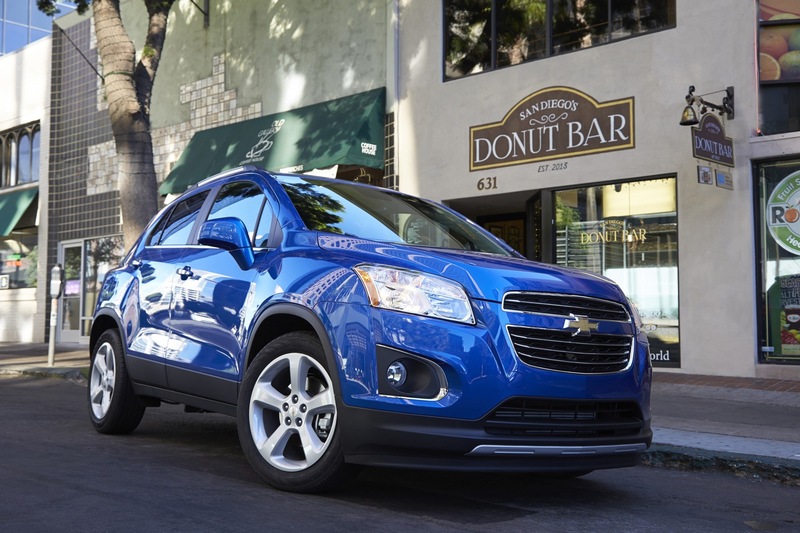 During that time, the brand’s share of the small-, compact- and mini-car segments has more than tripled — up 221 percent. 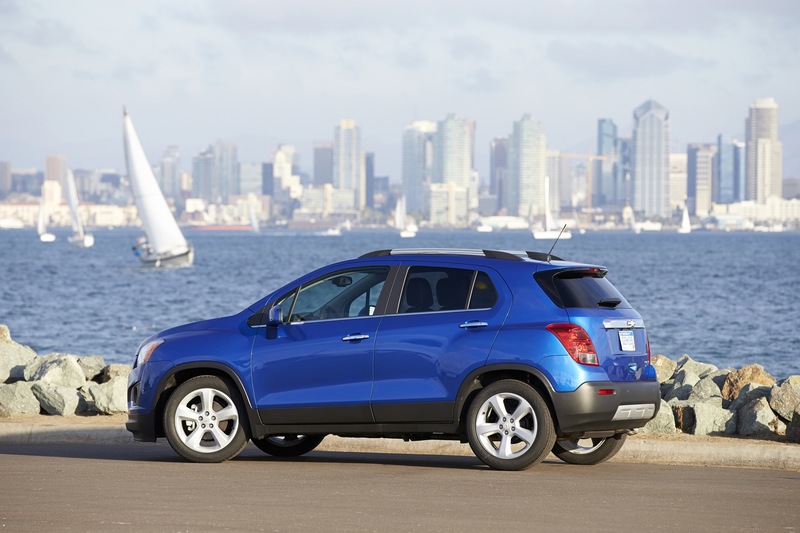 The Trax is a global vehicle. 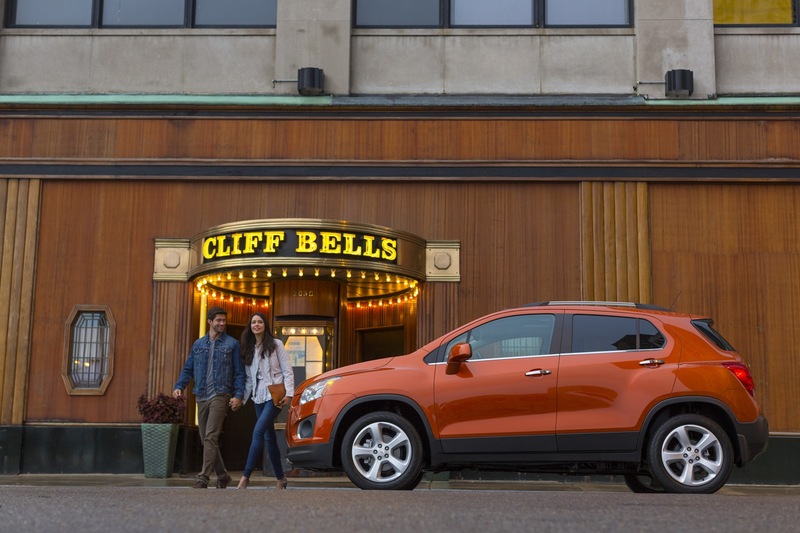 Chevrolet launched the Trax in late 2012 in Mexico and Canada as a 2013 model and has sold about 90,000 units in more than 60 global markets, where it initially launched. 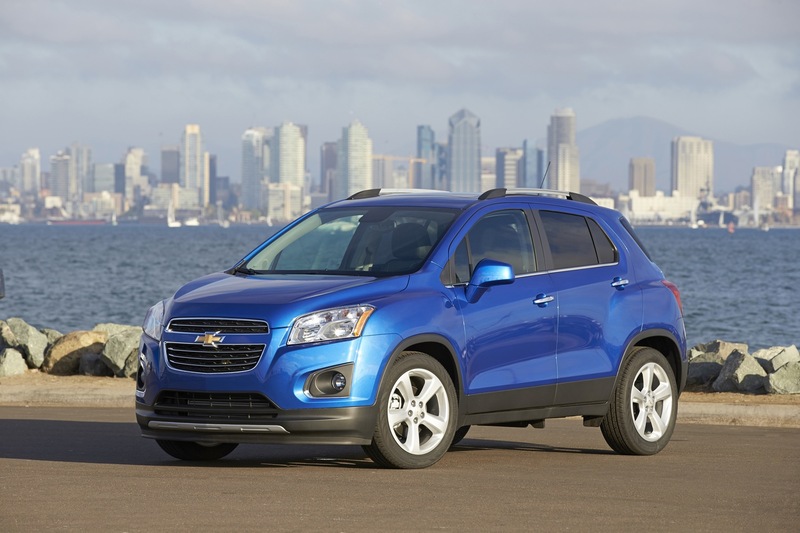 The 2015 Trax is currently on sale in global markets where Chevrolet vehicles are available, and arrived in U.S. dealer showrooms in early 2015. 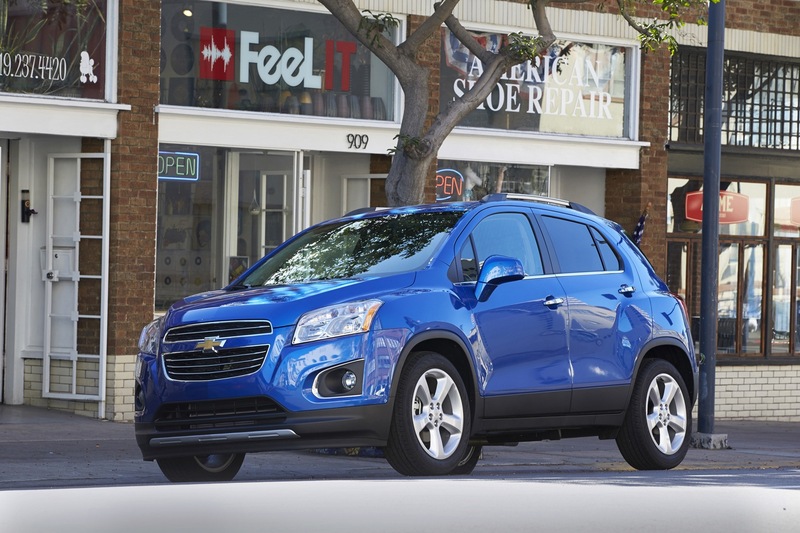 With its signature dual-port grille, prominent Bowtie emblem and swept headlamps, the Trax is immediately identifiable as a contemporary Chevrolet. 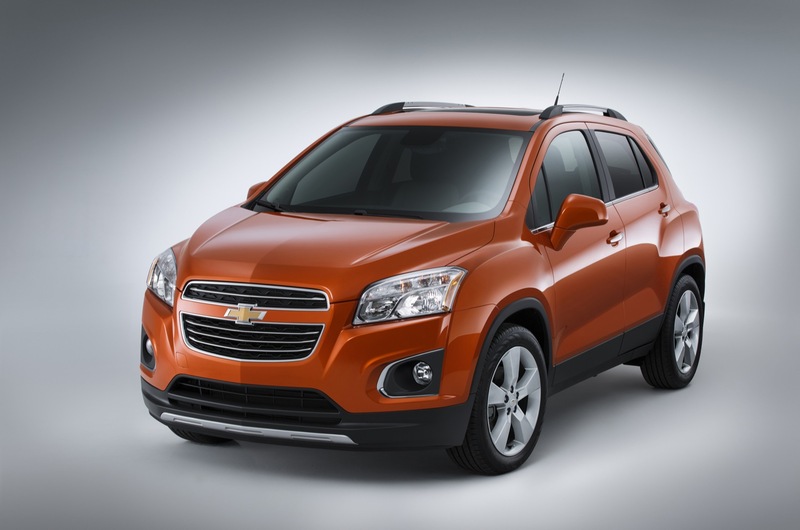 Its grille design incrorporates chrome accents and emulates other Chevrolets, providing a more cohesive appearance across the brand’s lineup of crossovers and small cars. 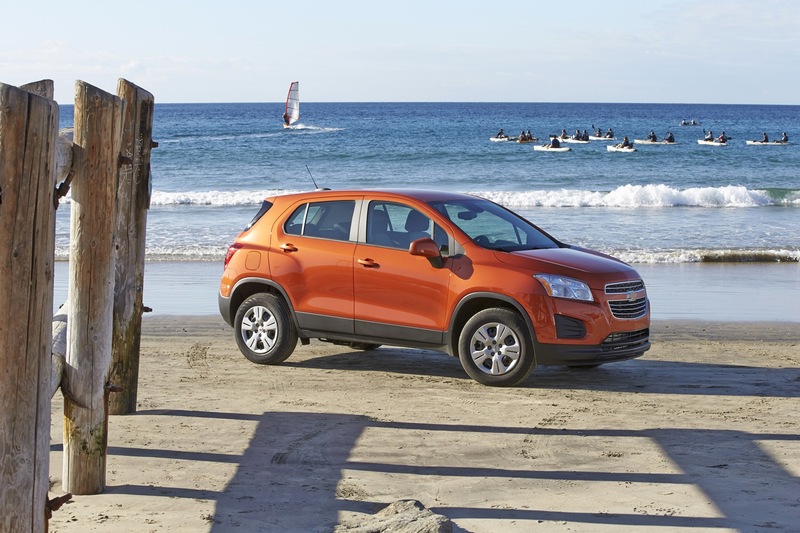 The Trax carries its distinctive exterior styling to the cabin. 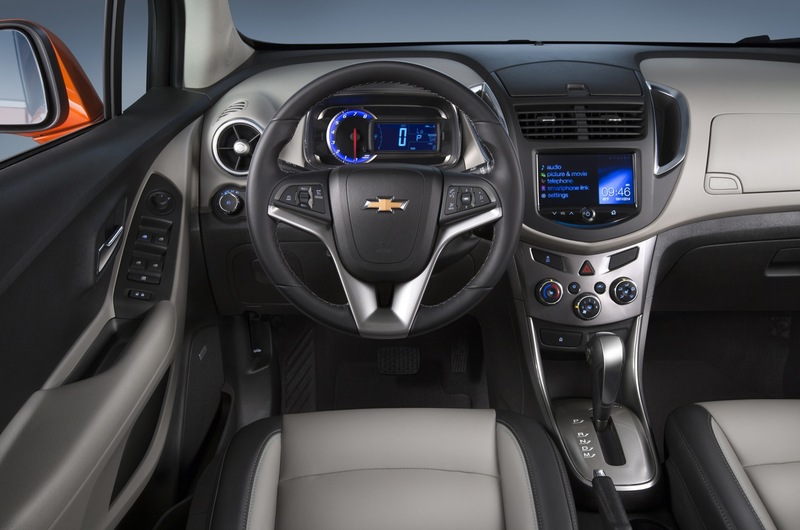 The familiar dual-cockpit instrument panel should make Chevrolet buyers feel at home. 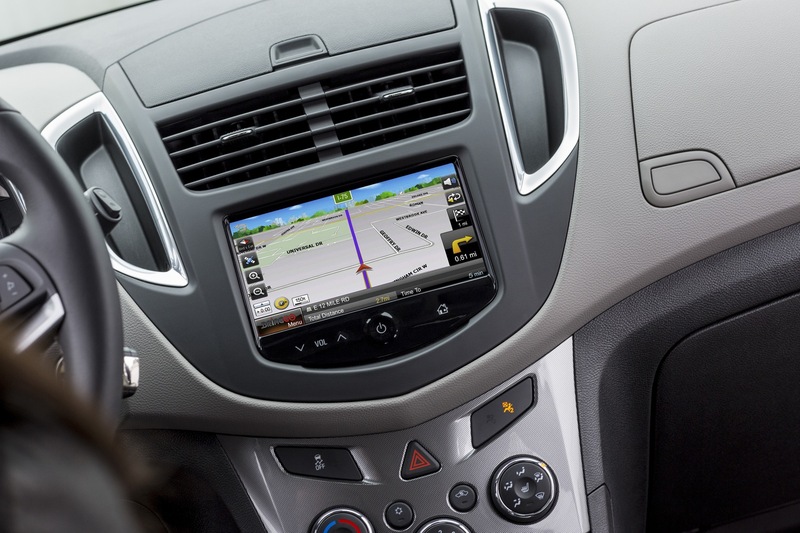 In the center, it houses a seven-inch, high-resolution, full-color display for the standard MyLink voice-activated infotainment system. 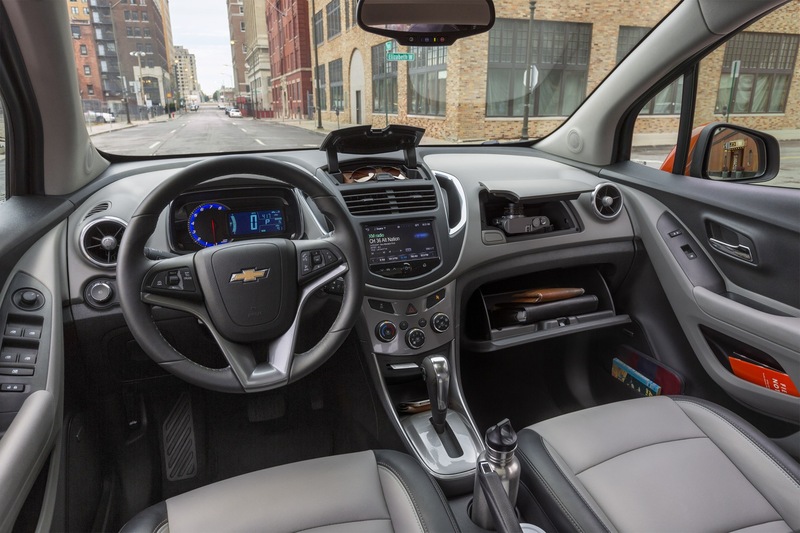 The screen doubles as the displays for the available SiriusXM satellite radio and standard rearview camera, as well as the available GPS-enabled, app-based navigation system that customers can download to their phones and run from the phone using MyLink. 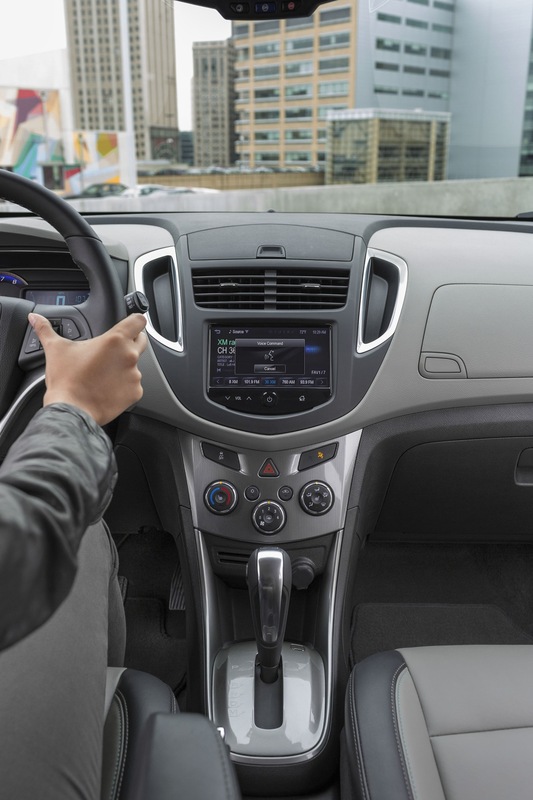 The instrument cluster is inspired by the bold design in the Sonic, featuring a large, performance-style analog tachometer combined with a prominent digital display for the speedometer and other readouts. 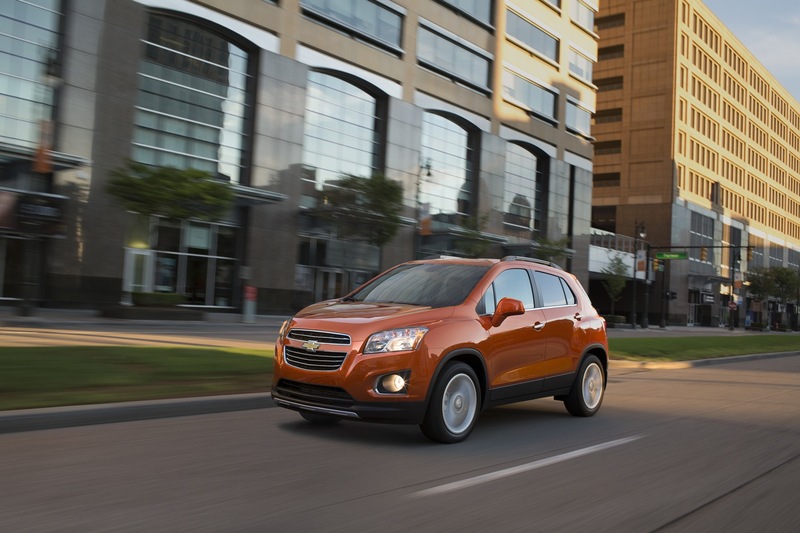 A small-diameter, thick-rimmed steering wheel enhances the sporty ambience. 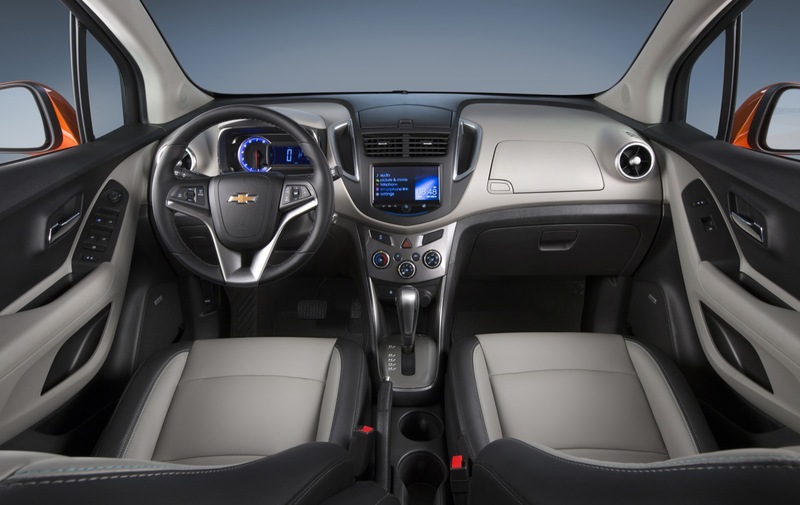 In LTZ and some LT models, the wheel is wrapped in leather. LS models feature cloth seating, with a deluxe cloth standard on LT. A cloth/leatherette seating trim is available. 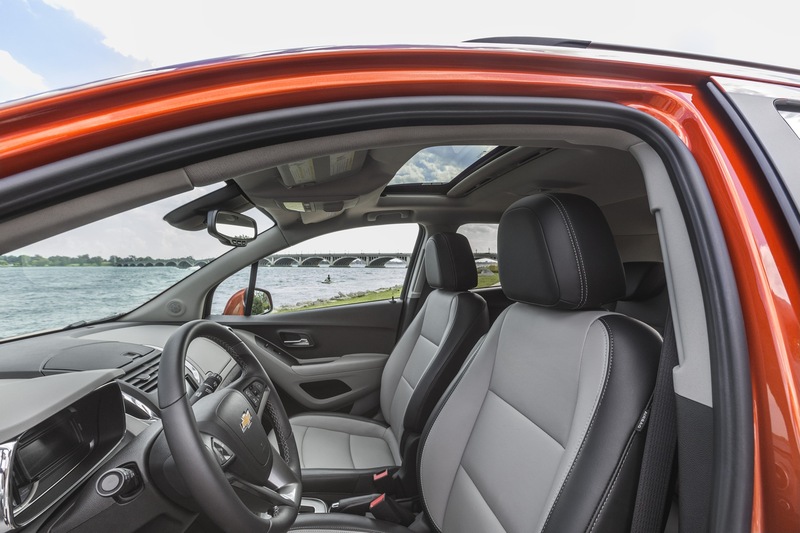 Meanwhile, LTZ models feature standard full leatherette trim. 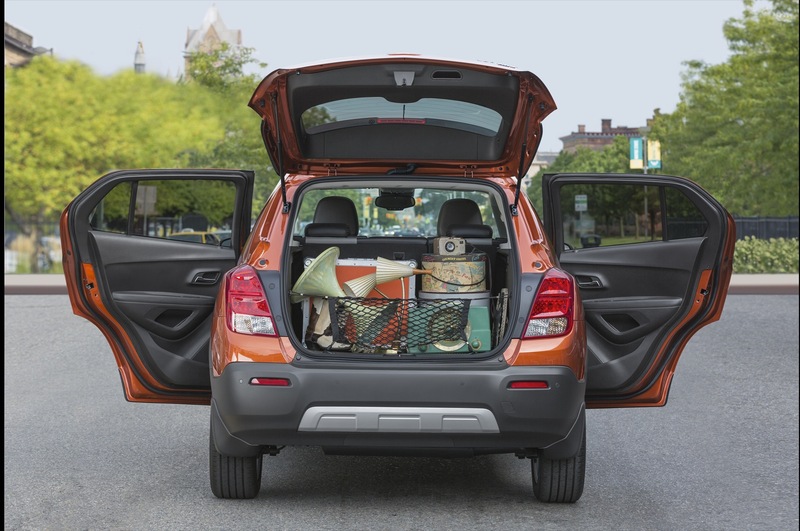 The Trax offers 18.7 cubic feet (530 liters) of storage behind the split-folding rear seat and 48.4 cubic feet (1,371 liters) with the rear seat folded. 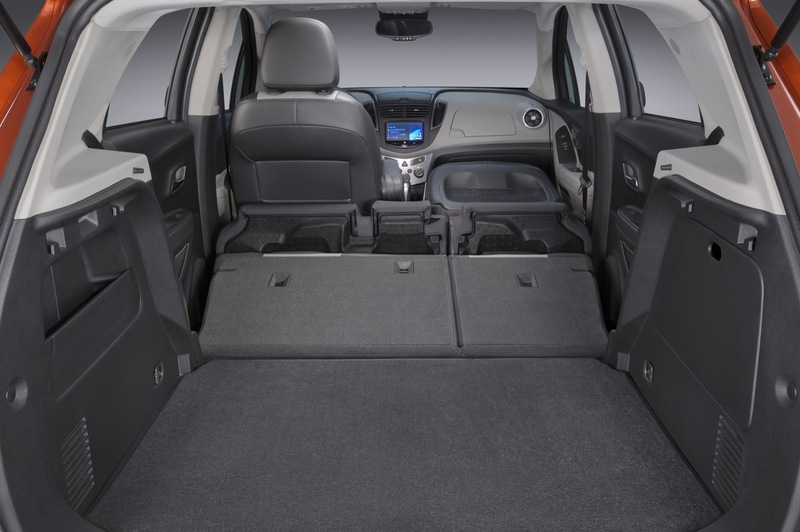 In addition, the front passenger seat folds flat to extend the cargo length and accommodate items up to eight feet long. 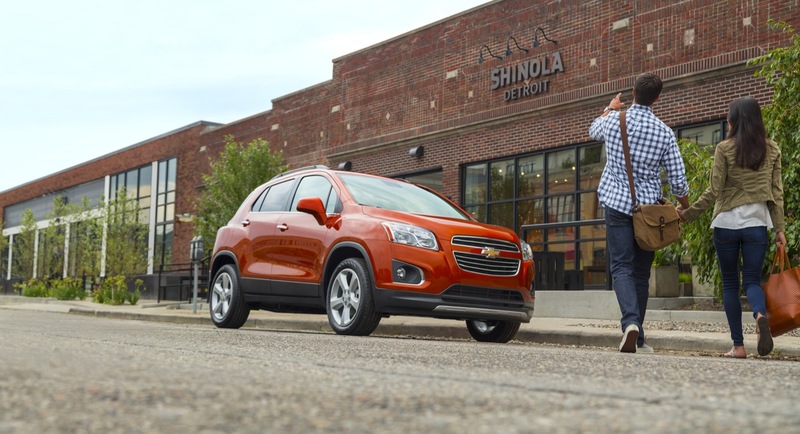 The Trax will accommodate customers’ increasingly-connected lifestyles with available OnStar 4G LTE with built-in Wi-Fi hotspot, as well as its MyLink infotainment system — the segment’s only seven-inch color touch screen. 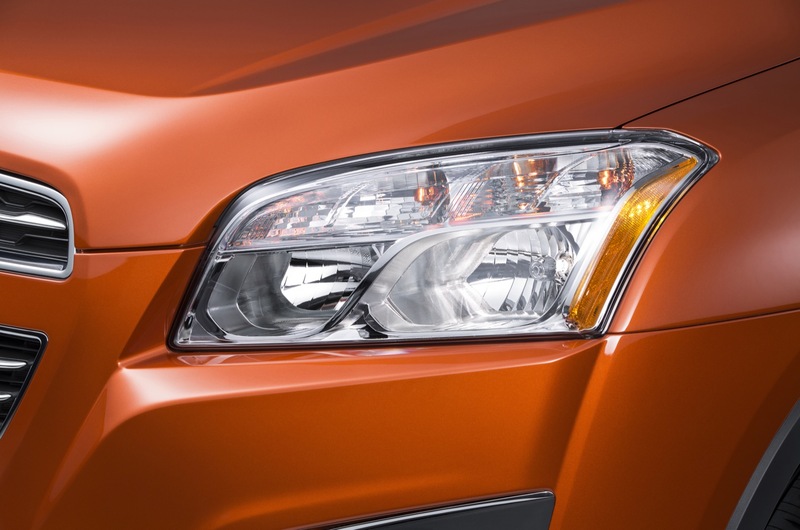 In addition, Trax also will be the first in its class to offer Apple’s Siri Eyes Free technology. 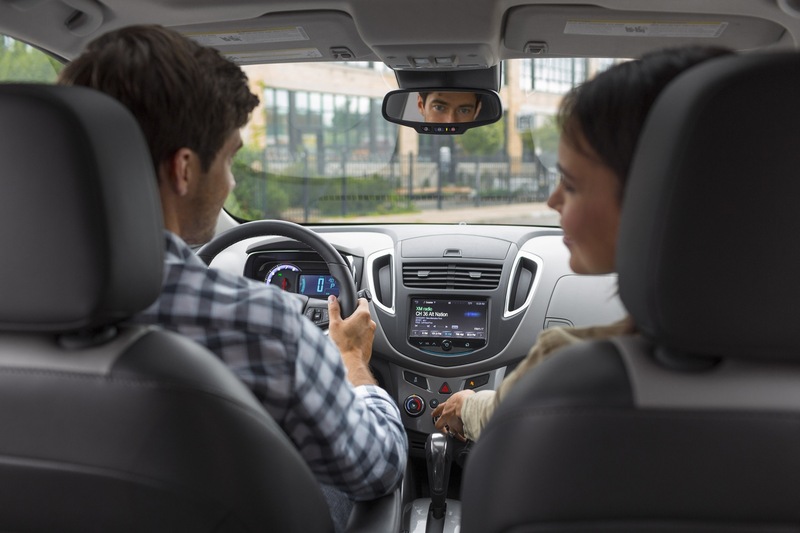 The available Siri Eyes Free for iPhone iOS 6. iOS 7, and iOS 8 users enhances connectivity and convenience, enabling safe voice-controlled connectivity while driving. 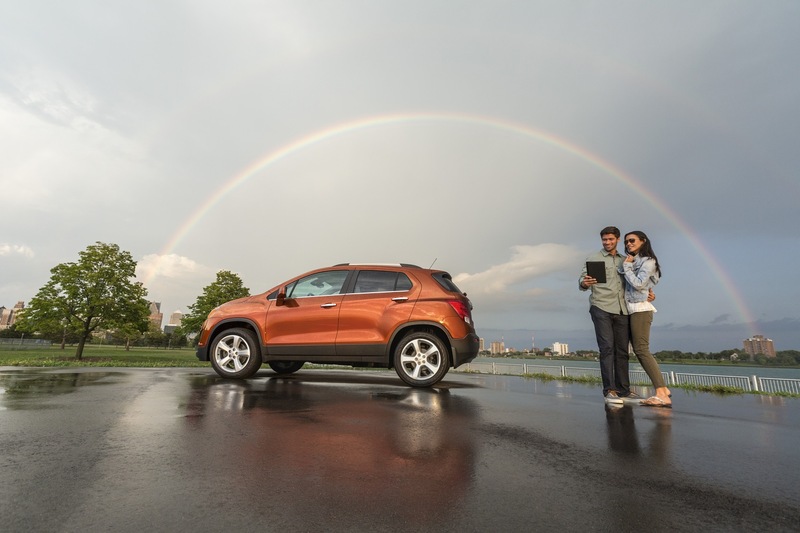 The technology enables drivers to keep phones stored and their hands on the wheel. 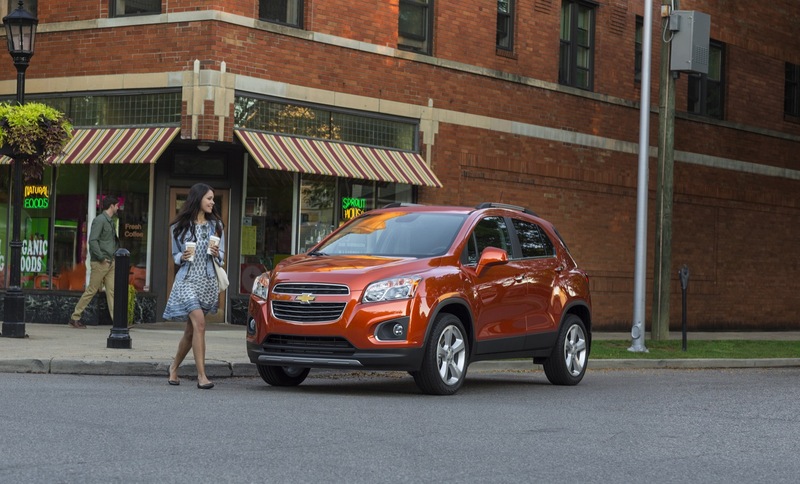 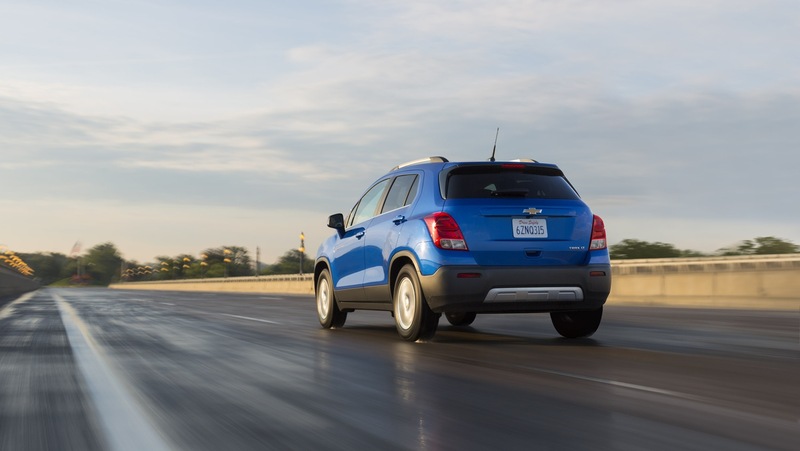 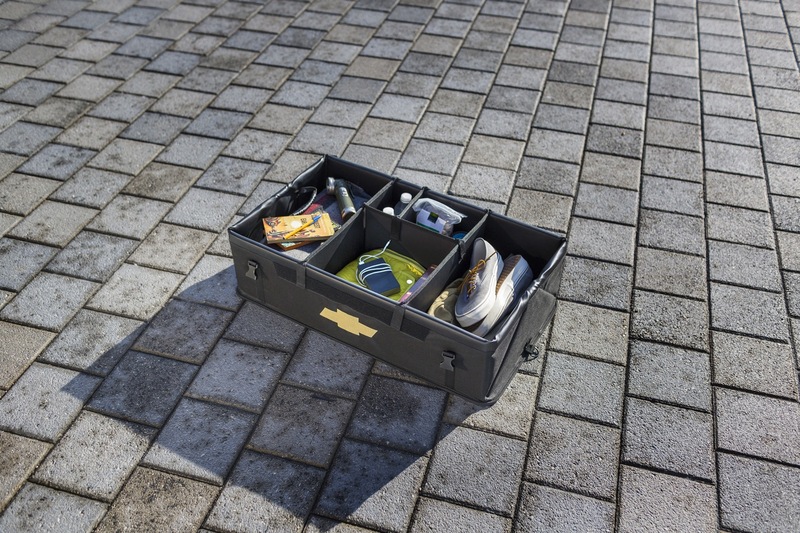 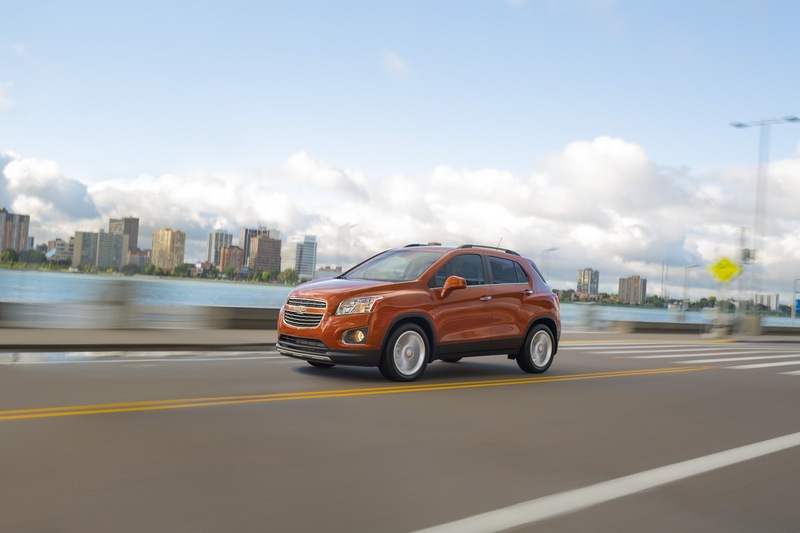 With Chevrolet’s connected by OnStar 4G LTE connection, Trax provides an available Wi-Fi hotspot that allows passengers to connect up to seven personal devices such as smartphones, laptops and tablets to high-speed wireless Internet. 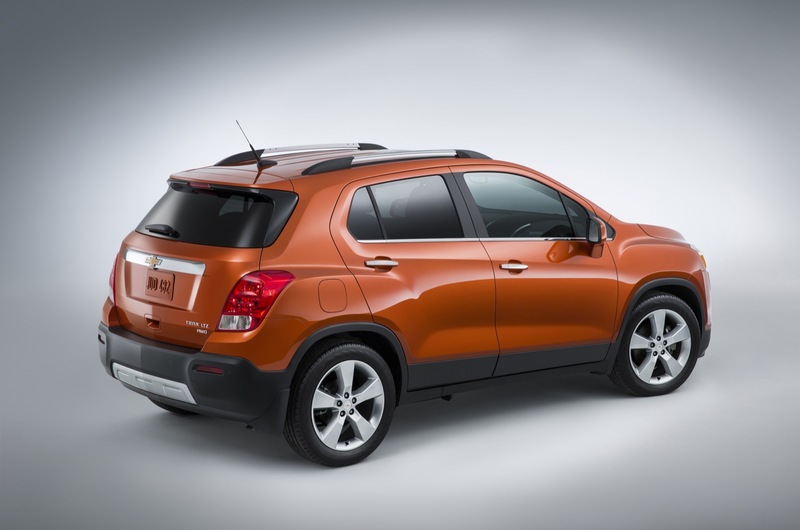 Trax is powered by the power-dense Ecotec 1.4L turbocharged LUJ four-cylinder engine backed by an efficiency-enhancing six-speed automatic transmission. 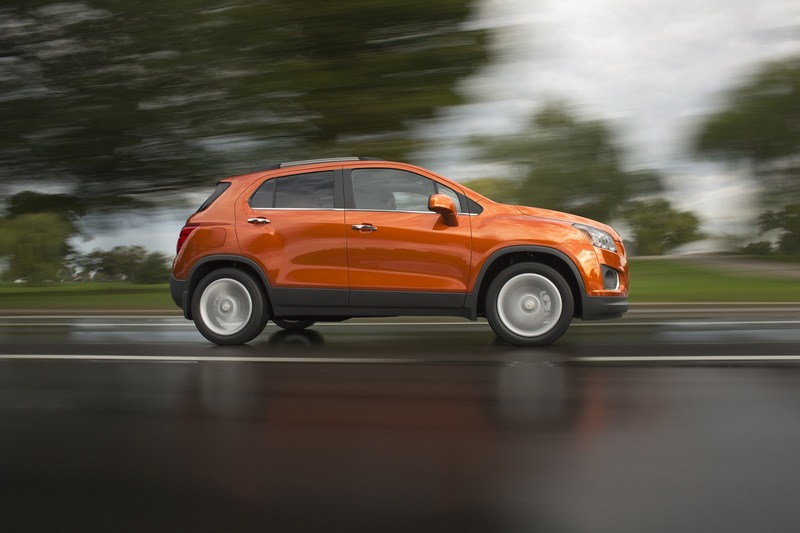 The engine is expected to be rated at an SAE-certified 138 horsepower (102 kW) and 148 lb-ft of torque (200 Nm) between 1,850 and 4,900 rpm. 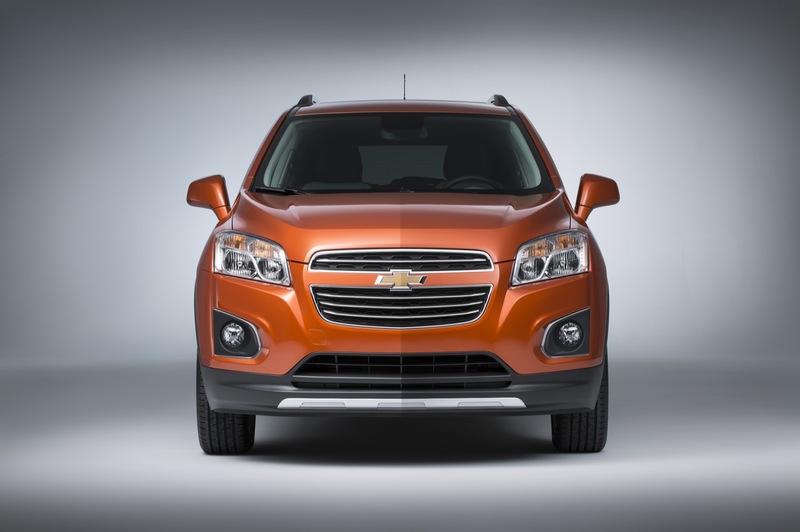 The 2015 Trax is based on a derivative of GM’s global Gamma vehicle architecture known as Gamma Plus. 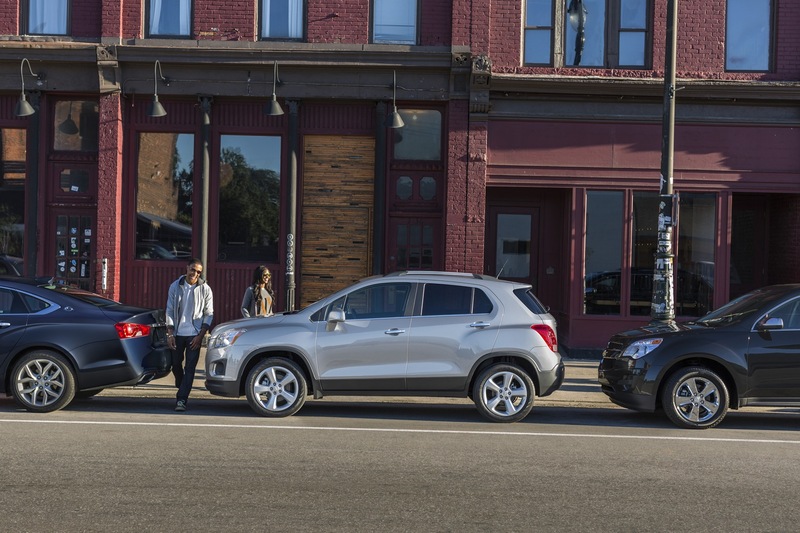 Trax’s safety and security features are complemented by segment-exclusive OnStar technology with Advanced Crash Response System, emergency assistance, and more. 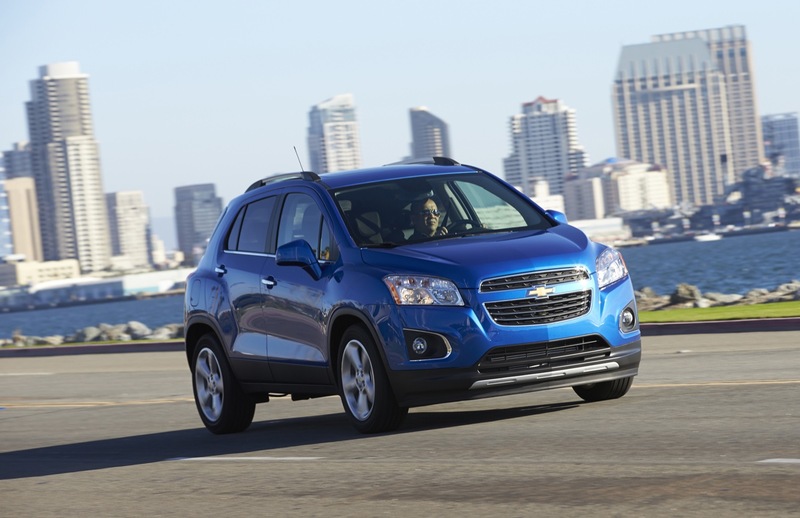 In addition, GM’s own Buick Encore and Opel-Vauxhall Mokka could be considered competitors. 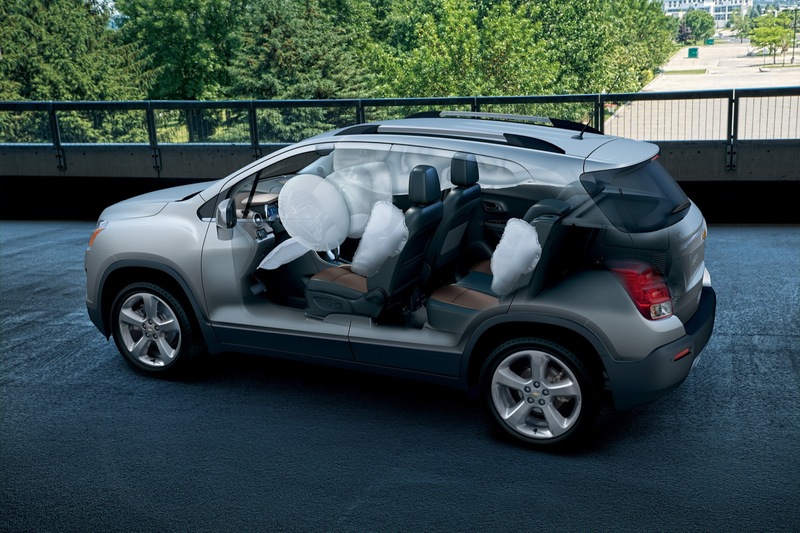 The Encore and Trax share the same Gamma Plus vehicle architecture.